Home Accessories Biometrics, Blockchain, Cryptocurrency AND Bluetooth – Has this Wearable gone Too Far? The TROVE Coin claims to be an ‘unhackable’, ‘unloseable’ wallet for your cryptocurrency, that can be worn as a fashion accessory. Tech geeks everywhere – rejoice! The Layer lab, Benjamin Hubert’s hub for his ‘human-focused’ design projects has released TROVE. 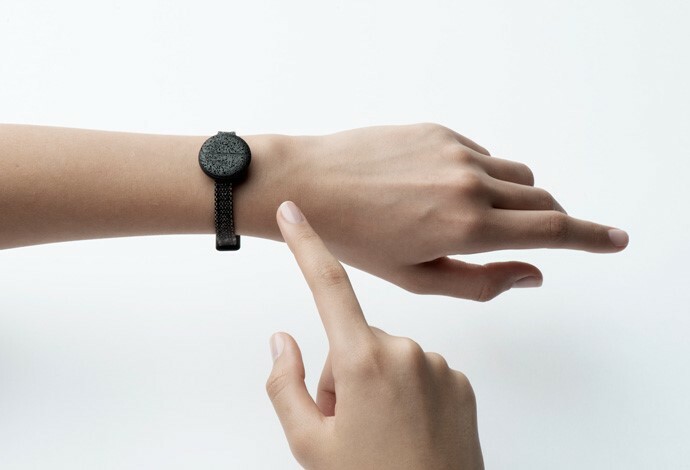 The new wearable project claims to be the future of Fintech, complete with intricate technologies which are paired with Hubert’s traditionally elegant design. The ‘coin’ can be worn as a brooch, necklace pendant, or a traditional bracelet, and comes in a variety of materials. TROVE is an understandable premise: the TROVE coin stores cryptocurrency on its physical hardware – so far, so good. Anything stored away from the cloud is safer from hackers or cyber-thieves. The coin is then ‘unlocked’ by using biometrics. Every person on earth’s ECG signature is as unique as a fingerprint, and so the user can touch the contact zone on the front of the device which activated the device. The device then activates Bluetooth in order to communicate with the individual’s smartphone, allowing funds to be accessed through the Trove app – phew! It makes sense in theory. No more long encryption keys to be lost or forgotten, and there are so many layers of authentication, with the activation having to be just right, that cyber attack seems incredibly unlikely. One could also make the argument that no method of storing cryptocurrency can be 100% secure. 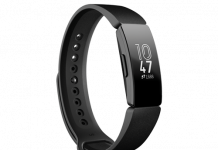 But, after a wave of Bluetooth vulnerabilities were reported in the final months of 2017, and other biometrically-encrypted security technologies such as the Tapplock being hacked in as little as 45 minutes, there will undoubtedly be concerns about the device. Also, on a personal note, I’m not sure that wearing my cryptocurrency on a thick rope around my neck is quite the statement I want to make. Hubert has previously produced other successful Wearables from the lab, including Worldbeing – a traditional wrist-wearable-and-app combo, designed to track the wearer’s carbon usage – and the GO glove, designed to create super-tactility for wheelchair users. In all probability, we will have to wait for time to tell whether the TROVE project is as secure as the team at Layer suggest. I’ll be keeping a close eye on the news for this one.